"This dish was inspired by a visit I made to a vineyard in South Western Australia where they used little sheep to trim the vines. 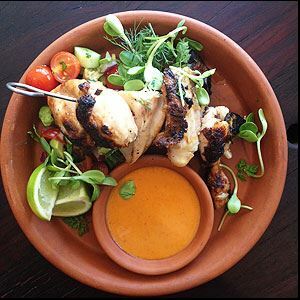 In the spirit of ‘what grows together goes together', I came up with this dish. It's like a classic stew, just with the ingredients cooked separately and combined at the last minute. I like my lamb rack to be pink. 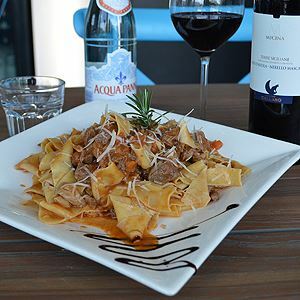 Here I have used a traditional method of cooking it, but for the same result you could instead put the racks in a cooler oven (60ºC Fan) and leave them for four hours, then sear them in foaming butter to colour and caramelise." - Jack Stein. Preheat the oven to 200ºC Fan and place a roasting tin inside to heat. First, make the gravy. Pour 3 tablespoons vegetable oil into a large pot, then add the chopped carrots and onion and season them with salt. Add the celery, leeks and garlic. Stir through, then add the bouquet garni. Pour 500 ml wine into the gravy and let it reduce over a medium heat. Once it has reduced to a few tablespoons turn the heat down to low. When the liquid has almost entirely been absorbed, add the chicken stock, then the porcini mushrooms, the soy sauce and the Marmite/Vegemite. Leave to simmer over a low heat until it’s reduced and thickened. Remove from the heat and pass the gravy through a sieve, squeezing out any excess liquid from the vegetables (discard these). Meanwhile, cut the rack of lamb into 2 equal pieces. Sear in a hot pan in the remaining 2 tablespoons vegetable oil for 5 minutes, then transfer to the heated roasting tin. Roast for 15–20 minutes, or until the internal temperature reaches 56°C (for medium-rare) on a meat thermometer. 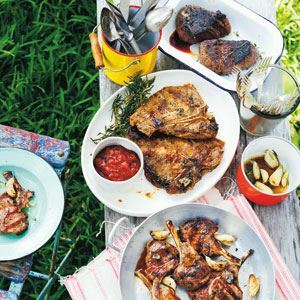 Once it’s cooked, remove the lamb from the oven, season with salt and pepper and rest for 15 minutes. Now prepare the shallot for the kale. Place the sliced shallot in a small heatproof cup and just cover with the vegetable oil. Microwave for 30 seconds to make a confit. Place the kale in a deep, wide saucepan with a splash of water. Season with salt and pepper, cover with a lid and let it steam over a medium-low heat for 2 minutes. Remove any leftover water from the kale and add the confit shallots and toss through. 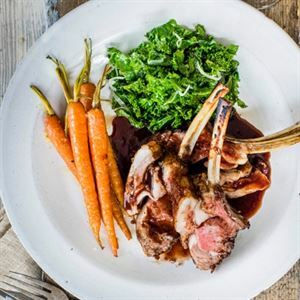 Slice the lamb between the ribs and arrange a few slices on each plate, along with the kale and the carrots and a good drizzle of the red wine sauce. 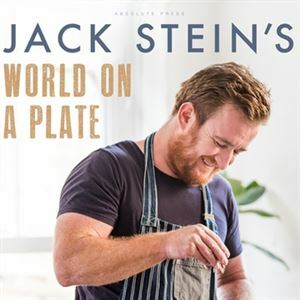 Credits: Jack Stein’s World On A Plate by Jack Stein is published by Absolute Press ($45.00) Out now!